Our creative wheels are turning, just thinking about what Ted Ullrich does on an average day at the office. In this Illuminating Alumni feature, we followed Ted’s journey from his earlier days of being a student in the Architecture program at DIS, to today, where he is one of the top innovators working with technology right now. Hear where his imaginative ideas have sparked from, what his mix of innovation, science, and design have achieved, and where DIS, Copenhagen, and Danish culture tie into it all. DIS: When were you a DIS student? Tell us a bit about the study abroad student you were. Ted Ullrich: I was a student in Architecture Program in the spring and summer of 2006, under the instruction of Johanne Riegels Østergård – she was a great instructor. 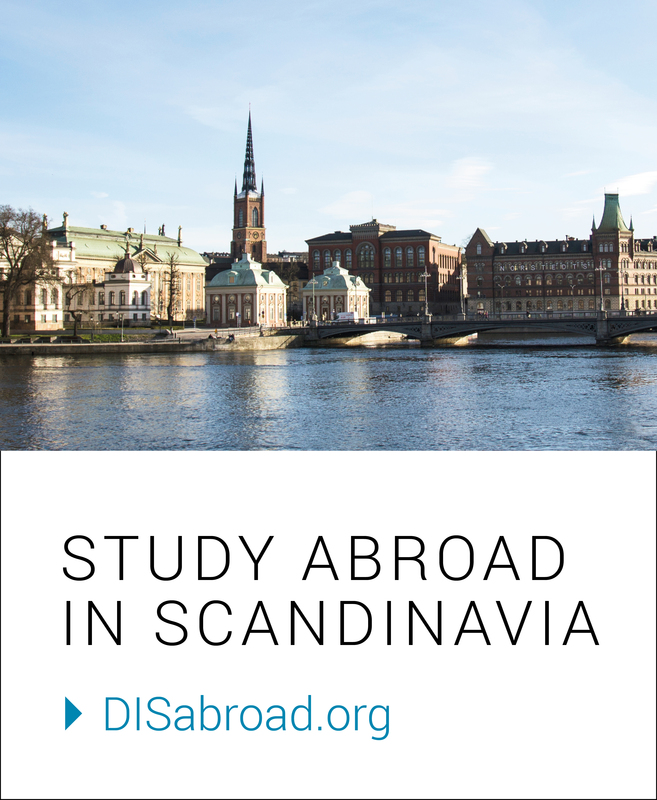 While attending DIS, I lived in an apartment with other Americans and Danes in the Østerbro neighborhood of Copenhagen, a few blocks from Svanemøllen train station. It was on the top floor of a 5-floor walk-up. 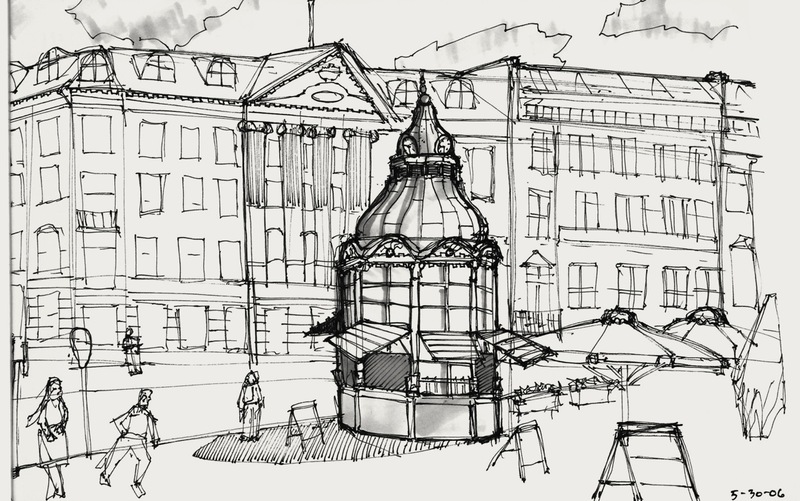 Sketch of Gammeltorv, taken from Ted’s sketchbook. 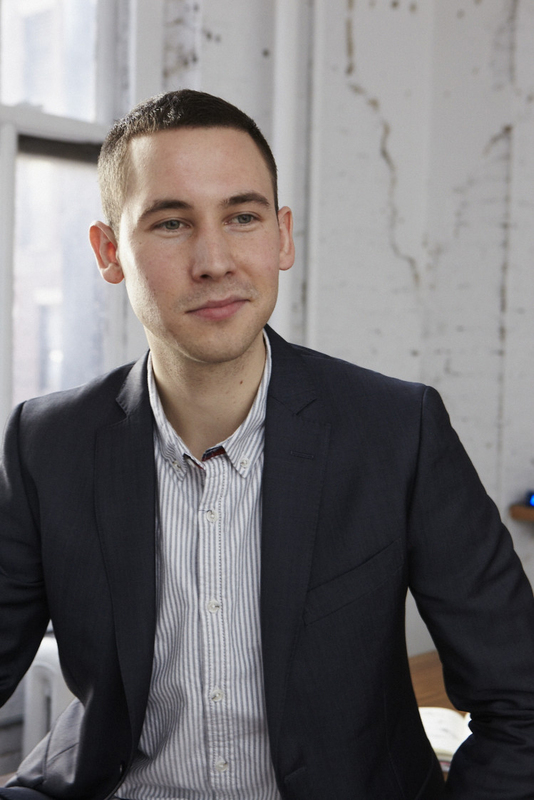 DIS: Recently you were featured in ‘Entrepreneur’ magazine as a top tech innovator– congrats! You are an entrepreneur designing products for entrepreneurs – tell us about your start up company. TU: Tomorrow Lab® is a group of engineers and product designers who focus on developing new hardware products for clients. The hardware products we develop are often electronic in nature, but not always. We use science and design early in our process to invent and prototype new technical feats, which we then incorporate into the products we design and engineer for manufacture. We have developed products like a Web Connected Pill Bottle for improving medication adherence, a low-cost Open Data Traffic Counter for improving the understanding of our streets, and a sensor tracker for Wine shipments to prevent the conditions that spoil wine during shipments. Our client base is particularly the growing market of hardware startups: small teams who have an idea for a revolutionary new physical product. These teams hire Tomorrow Lab to help invent, design, and engineer their flagship product for manufacture. After our three phases of prototyping, design, and engineering, we deliver to our clients their first batch of 100 to 1000 products for beta testing, trials, or sales. Tomorrow Lab is a small but growing company located in New York City with five fulltime, and some interns and advisors as well. I founded the company in 2010 and have two other partners in the business, who have been instrumental to the growth. DIS: Tell us about yourself as an engineer and founder of Tomorrow Lab. Where did your inspiration for your company come from? TU: The basic inspiration for Tomorrow Lab was to create a product development company that develops revolutionary new products. The vision for the company is further communicated in the name. We are hopeful about, and fascinated with, the future… hence, the idea of ‘Tomorrow’. However, we are not interested in the unattainable, dreamy technology of the distant future, but instead obsessed with manifesting and prototyping what is real and possible now. ‘Tomorrow’ is a tangible future, as it’s only one day away! The ‘Lab’ portion is equally important. As a physical space, our office is 1200 sq. ft. of well-lit ‘making space’ in the middle of Manhattan, on 32nd Street and Broadway. We have benches with electronic soldering and mechanical equipment next to 3D printers and injection molders. The idea that this facility exists in a city still fascinates me, as there is something unlikely about it. The tight integration of making and experimentation is important to our process, and we use photography and video to demonstrate and show our experiments online. These are all experiments and prototypes driven from our curiosity of making new things. We hope we can inspire, teach, and spark ideas in others when we publish this content. 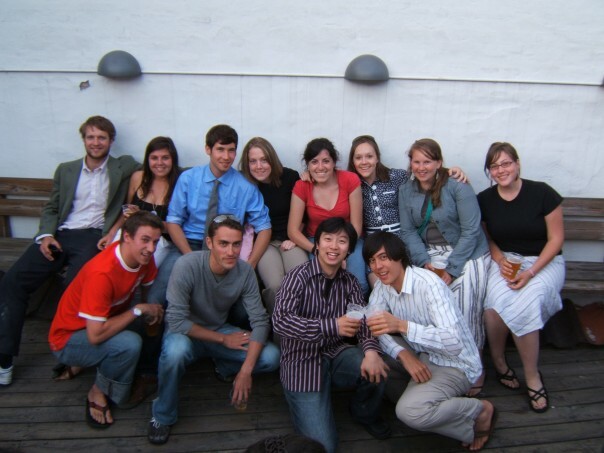 DIS: How did your time here studying architecture and design at DIS and in Copenhagen affect your career plans? TU: I entered DIS trained in Interdisciplinary Engineering and Product Design from Purdue University. Prior to entering DIS, I had formed plans to later return to the U.S. and continue with a Master’s Degree in Industrial Design at Georgia Tech in Atlanta. My time at DIS helped train my design-thinking skills in a new social context and provide a good basis for my later position as Architectural Studio Instructor while a graduate student at Georgia Tech. While in Copenhagen, I was cognizant that the environment of the city was positively affecting the quality of my work. Recognizing that connection has helped convince me that it is important to find or create an environment that helps you thrive. Since building a business has a lot to do with building the physical and social environment that surrounds it, we can create a positive feedback loop if you set out to build both: the business and the context for the business. 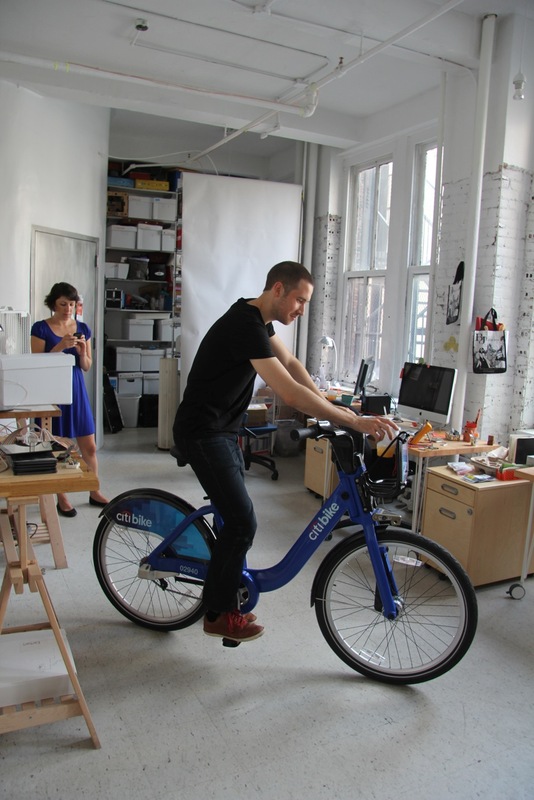 DIS: Tomorrow Lab has collaborated in the past with startups that focused on urban development and planning, bicycles, and sustainability. How do you approach these ideas and innovations, having spent a semester in Denmark, a country known for all three of these things? – An unspoken understanding that simplicity of design, high quality materials, and superior craftsmanship is expected for things in daily life. In our buildings, in our tools, and in our products. – An unspoken respect for equity of transit modes. Whether there is the car, bicycle, train, or pedestrian, they all seem to work together, instead of against each other. I have since learned that great efforts have gone into the design and engineering of Denmark’s transportation systems to help make the human behavior what it is today. This makes the appeal even more exciting, knowing that other societies can learn from and implement the successes now present in Copenhagen. DIS: The Danes pride themselves on design innovation – what is one of your favorite Danish designs? TU: Danish design has a humble way of blending a deep history of quality of material and craft with intuitive, simple, and honest forms. Thanks to this ability, Danish design also often demonstrates how the things in our life can be both very modern but simultaneously wise and historic. I’m interested in good design that can be democratized into a product business so that the benefits of the design can be accessed, owned, and enjoyed by many people. For me, LEGO is one of those designs. DIS: What is your favorite memory from your time here in Denmark? TU: I have been back to Copenhagen several times, so it is hard to recall one instance from when in school. I have a fond memory of visiting a friend who was in studying in Copenhagen Design School a few years ago. On the afternoon we met up, he took me to lunch at a tiny cottage-like vegetarian restaurant hidden in the middle of Christiania. Lunch was followed by hours spent picking through dusty architectural relics, odds-and-ends, and other amusements in a barn erected in the 1600’s which neighbored the restaurant. This is the sort of one-of-a-kind afternoon you could only have in Copenhagen! DIS: If you could spend one day in Copenhagen again, what would you do and where would you go? TU: I have a good relationship with a technology school in Copenhagen – CIID. I would visit CIID, DIS, and sit by Nyhavn in the sun… all via bicycle of course. DIS: Have you brought any Danish traditions home with you that you have kept up over the years? TU: The bicycle. When I returned to the U.S. and moved to Atlanta to begin graduate school, I sold my car and started riding a bike. Five bikes later, it is still my preferred mode of daily transit.